If like me, you often meet your friends on a lazy afternoon and spend nearly all day debating on where to go for lunch, I think I may have your solution. Nestled inside Eldon Garden, you’ll find Garden Kitchen, a hidden garden restaurant that I discovered is the perfect “time out” spot in which to restore your inner calm after a day of trawling the shops. I was actually at the launch night of Garden Kitchen, all those years ago, so it was excellent to be back, seeing what had changed. 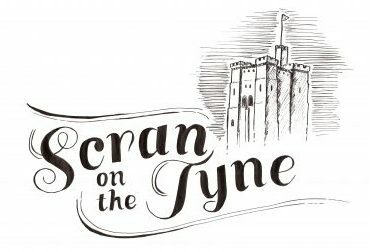 If you’re a fan of Six at the Baltic, then you’ll be interested to hear that Garden Kitchen is operated by the same company. However, in recent months, I admit, the Garden Kitchen had fallen off my radar completely, most likely due to the influx of recent openings across the city. 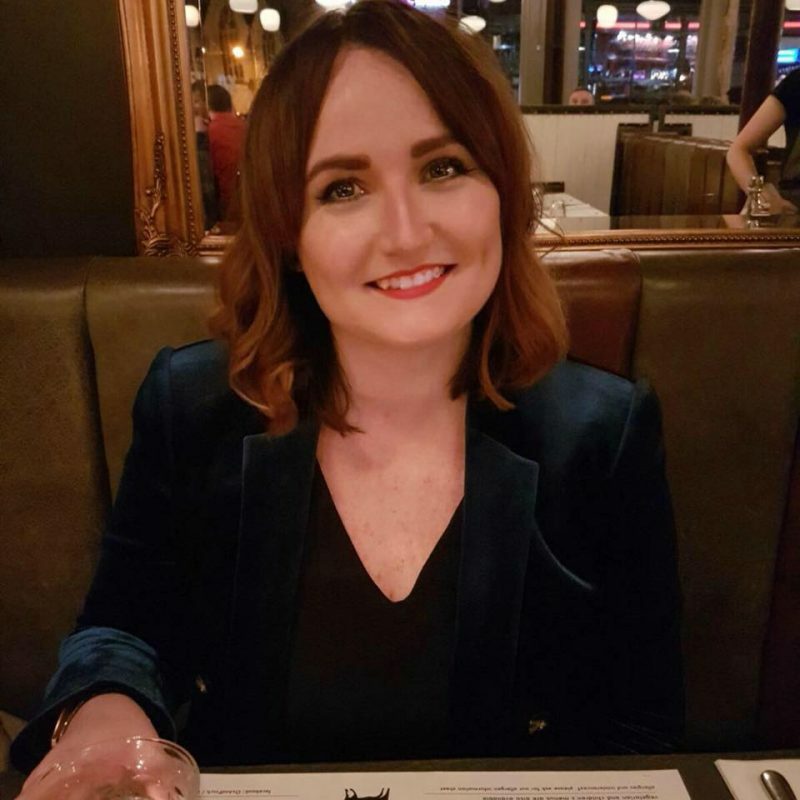 The restaurant had the sort of atmosphere that many Newcastle restaurants would kill for; full of happy diners munching, chatting and laughing away, with jazz music in the background. It is light and bright and the Christmas decs had just gone up, so I felt like I was part of a secret Christmas Garden Party. There are three dining spaces where you are welcome to sit for a meal, grab a coffee and a cake or sit next to the bar, with a glass of your choosing from the bar. These spaces are bookable, if you’d like to host an event or party. In the Christmas Garden Party spirit – we ordered our drinks immediately and for me, it was time for a ginny (any excuse!). So as a seasoned, professional gin drinker, I am happy to report that my gin and tonic was perfect. A single Hendricks, with the most refreshing tonic, was the perfect Sunday afternoon accompaniment. My boyfriend opted for one of the “special” cocktails, featuring rum, apple juice and still cider. Unfortunately, it fell down slightly on the “special” front and was a bit too watered down. Maybe the ice had melted a bit too much, who knows. All was forgiven however, when we discovered they were serving “Ting” on the menu – we both practically screamed with delight. This carbonated Caribbean drink, which is flavoured with Jamaican Pink Grapefruit, has been a firm favourite for a LONG time, so hats off Garden Kitchen for putting it on the menu. So onto the food, Garden Kitchen has a small and concise menu, serving breakfast until 11am and then afterwards a host of sandwiches, salads, soups, cakes and pastries – all within a very affordable price range. It’s clear that part of Garden Kitchen’s ethos is to create seasonal menus, featuring the freshest produce from local suppliers. They detail where certain elements have come from, which Is a nice touch, and supporting local businesses earns big brownie points from me. 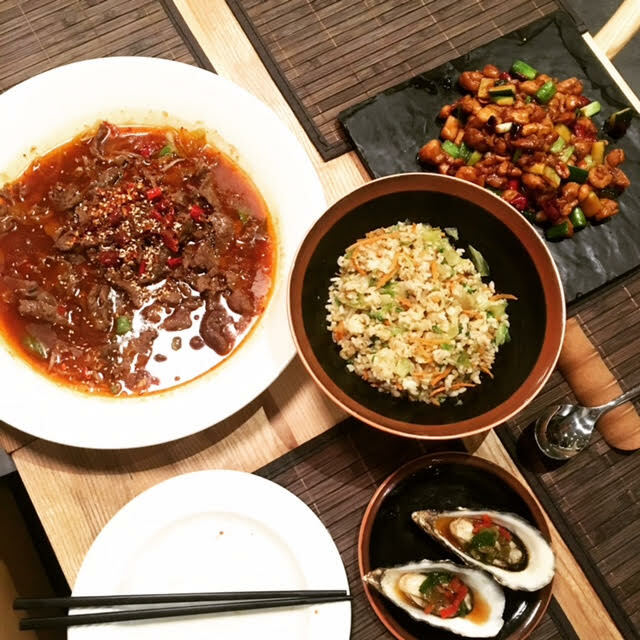 Being starving and consequently, decisive, we were quickly ready to order. The waitress was extremely knowledgeable about the food, which is essential for a coeliac (gluten free) such as myself. I often think I might be a restaurant’s worst nightmare, but I was certainly not made to feel that way. On first glance, the menu does not shout out lots of gluten free options, but after asking the waitress, they were able to amend lots of dishes so they were gluten free. Perfecto! 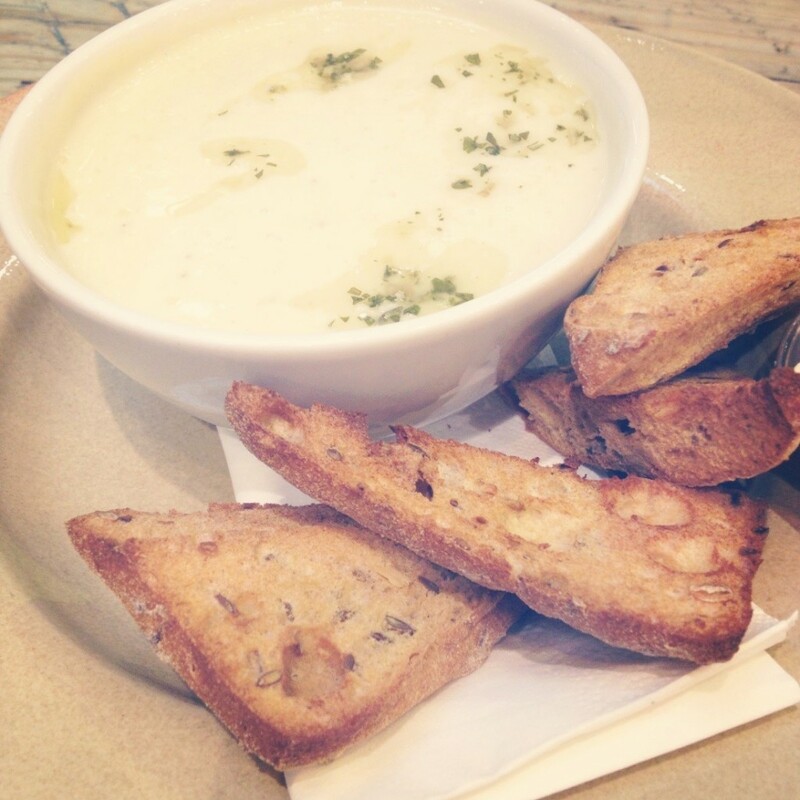 It was starting to get chilly outside, so I opted for the apple and celeriac soup, with gluten free bread (£5.25). The soup was simply, a bowl of heaven. It was rich, creamy, it felt indulgent – I could taste the celeriac and the apple complemented it perfectly. It warmed my bones and took comfort food to a new level. The bread was toasted and fresh and came with real butter – I only eat real butter on very special occasions, so It upped the luxury stakes once more. Altogether, it was delicious. 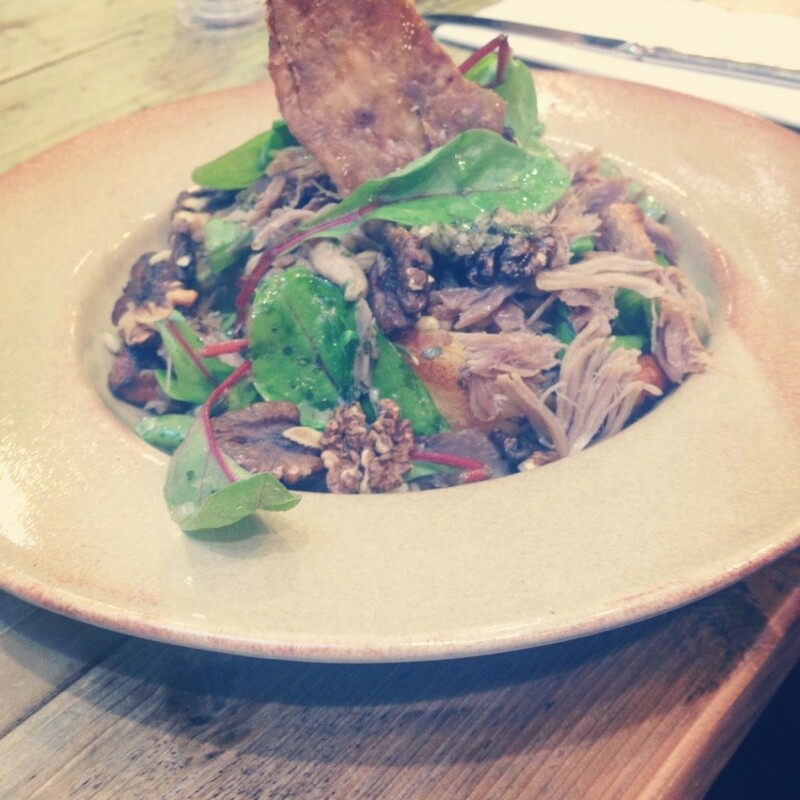 The boyfriend equally enjoyed his confit duck and winter vegetable salad, with pearl barley dressing and walnuts (£6.95). In our 8 month relationship, he has always managed to pick fault at every meal we have gone out for and has never completely finished a plate. I’m happy to report it was a 10/10 from him. He finished the whole dish (a compliment in itself) and he couldn’t find fault with anything (ha ha – you foxed him Garden Kitchen – he LOVED it!). The only critical thing I can find to say about the food is that they weren’t served in bottomless dishes. A week later, I still wished I was eating that soup! Unfortunately, due to the Sunday lunch rush, lots of the desserts and cakes had sold out so there wasn’t anything really much left to take our fancy for afters. So instead, we opted for some hot drinks, to finish off our meal. On recommendation from our waitress, I ordered the special cinnamon hot chocolate and wor lad ordered a flat white coffee. Whilst waiting for those to arrive, the couple next to us ordered one of the infamous Garden Kitchen picnics – their version of an afternoon tea. They cost £19.95 for two people and actually come assembled on a mini picnic bench. When the waitress brought it to their table, the whole restaurant turned and looked and began taking sneaky iPhone photos and watching intently. The picnic bench was piled high with sandwiches, scones, cakes and treats – not gluten free friendly, but even I was jealous. 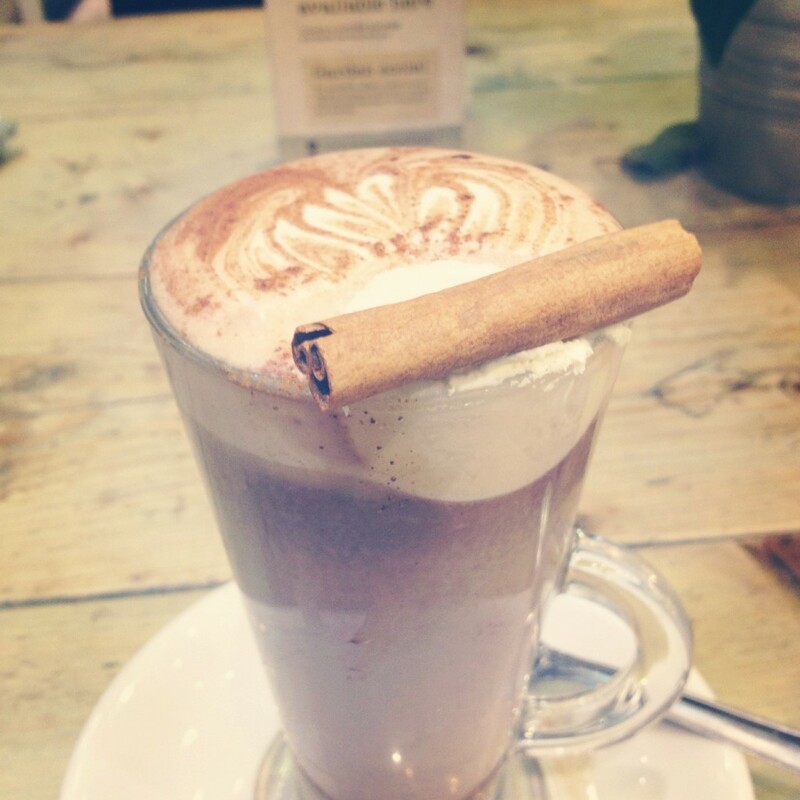 The hot drinks came and Sam enjoyed his coffee, nice flavours and I fell in love, all over again with hot chocolate. It was possibly the most yummy, thing I’ve ever tasted – it was chocolatey, the cinnamon came through perfectly and there was a hefty, satisfying portion of REAL, fresh cream – none of the cheap squirty stuff. So, well done Garden Kitchen – we loved our lunch and I thoroughly recommend the venue overall. The staff are lovely, even when rushed off their feet, the food excellent, prices reasonable and the surroundings are a little bit of mid-day solace. 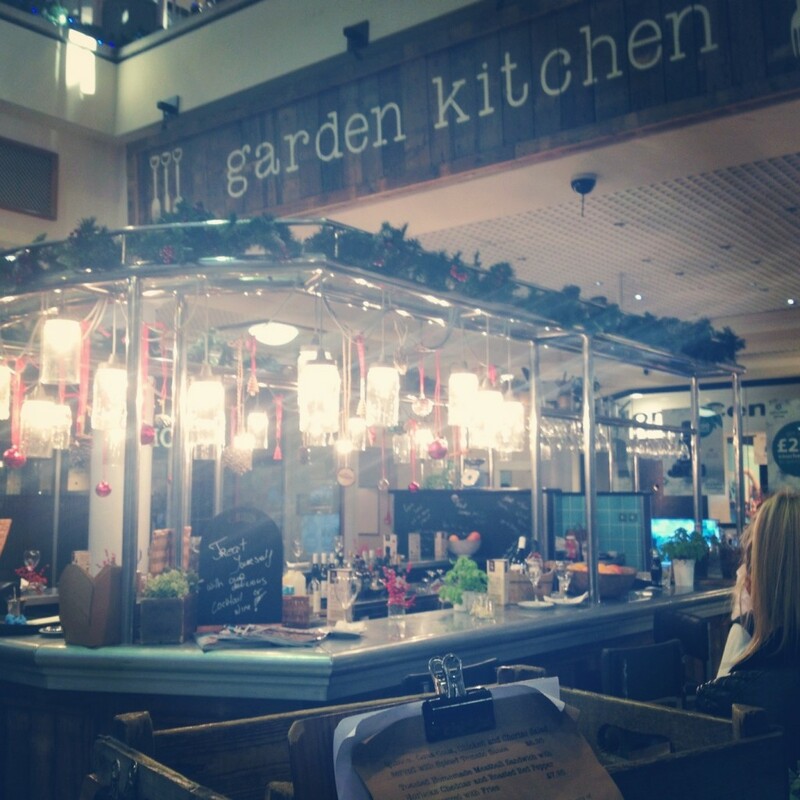 Garden Kitchen, Eldon Garden, Newcastle upon Tyne, NE1 7RA. To book or enquire, please call 0191 232 7885 or email info@gardenkitchennewcastle.com.